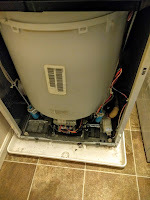 I disassembled the washing machine, removed a sock clogging the water pump, plus a couple more socks in the basin beneath the main tub (future clogs waiting to happen), and reassembled the whole thing. Don't overfill your washing machine, people! 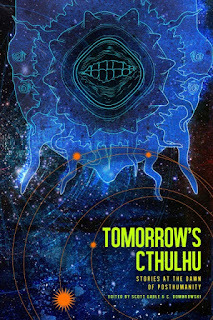 Perfect Toy For A Nine Year Old is my story in this new sci-fi meets Cthulhu anthology Tomorrow's Cthulhu. Check out the full anthology here! “Dad, this is boring.” Margaret flopped down on the couch next to Charlie. 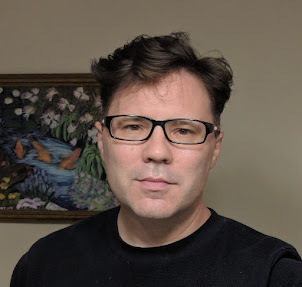 Charlie Tokarev looked away from the program they were watching: mustachioed fish explored a land of robot dinosaurs across three walls and the ceiling of the family room. He hadn’t been paying close attention because the show was boring. But his daughter picked the program, so he’d pretended to watch. Charlie gratefully wiped the fish away with a wave of his hand. A green forest, wet with rain, rustled to a phantom wind all around them. “Then choose something you like,” he said. “But I’m bored!” Margaret dropped her head back to stare straight up at the ceiling and the digital clouds scudding by. Charlie swallowed a sigh. When she didn’t get enough sleep, Margaret got cranky. She’d spent the last few days at her friend Zoey’s house and probably slept only a few hours the previous night. Margaret didn’t immediately respond, but that was a good sign. 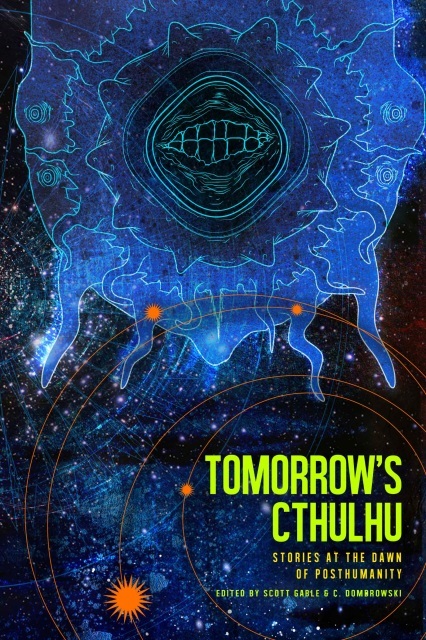 Read the whole story, and many more in Tomorrow's Cthulhu!